A comparison of the three most used Canon 50mm prime lenses – which one is the best for you? Sometimes, it is easy to justify the purchase of a lens for a subset of its attributes (such as price), but when it is time to select the ideal lens for a particular use, the focal length always becomes a very important attribute. The focal length determines the angle of view which determines the distance required for the desired subject framing and the distance from the subject determines the perspective. The 50mm focal length has a great number of uses. The 50mm f/1.8 II was an extremely popular lens, primarily because of its introduction-to-prime-wide aperture and good stopped-down image quality at a very low price. 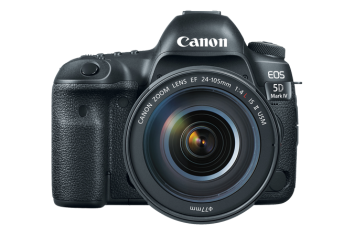 Many had long been waiting for a new 50mm lens from Canon and the 50mm STM Lens appeared to be a significant upgrade while retaining essentially the same ultra-small size and weight. That the new lens remained Canon’s lowest-priced definitely produced smiles. 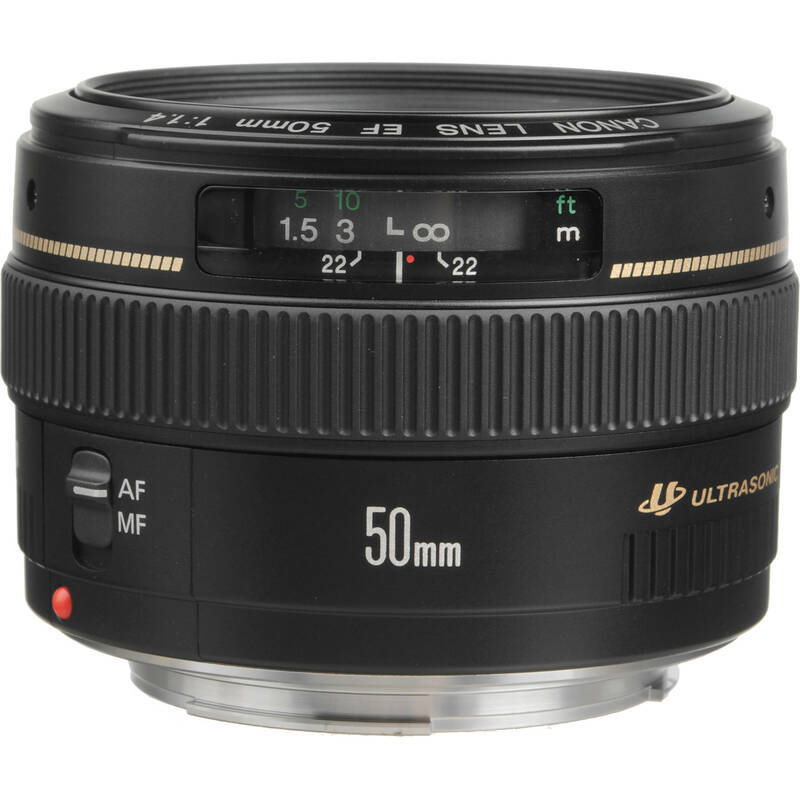 It is a great deal compared to the other two and many journalists and photographers are saying it is the only 50mm lens you would ever need. It is simple, cheap and great quality. Ask a bunch of photographers what their favorite lens is – and you will likely hear the Canon EF 50mm f/1.4 USM Lens mentioned. It is sharp, small, light, inexpensive and with an f1.4 aperture, fast. The 50 f/1.4 finds a home with many photographers – from pro to casual – for several reasons. This lens is not a bother to carry mounted – or in a jacket pocket for use as needed. Overall build quality is decent but not excellent. While the metal lens mount is good, the focus ring fit and function is only adequate. The 50 f/1.4 features a quiet but not-so-well-damped Micro USM (Ultrasonic Motor) motor – this is good but not as good as the Ring USM motors in many of the higher quality Canon lenses. FTM (Full Time Manual) focusing is supported. One of the most influential factors of this lens’ popularity is the low price. Most of us care deeply about this factor. The 50 f/1.4 is a really good value lens. The Canon EF 50mm f/1.4 USM Lens is very useful for low-light indoor photography when a flash is not permitted, appropriate or desired. It works very well in a church or gym for example. It is a good lens and focal length for full-body portraits. Keep in mind that when mounted on a 1.6x FOVCF body, you need some extra space to accomplish the full-body portrait. On these bodies, this lens makes a fine head/shoulders portrait lens as well. The 50mm f/1.4 makes a good travel lens – especially for low light situations not easily handled by a general purpose lens. When space is tight and light weight is important, this lens might be the right one for you. Being a prime Canon L Series Lens, the Canon 50 f/1.2 far exceeds all existing Canon 50mm lenses in nearly all aspects – including three negative ones: size, weight and price. 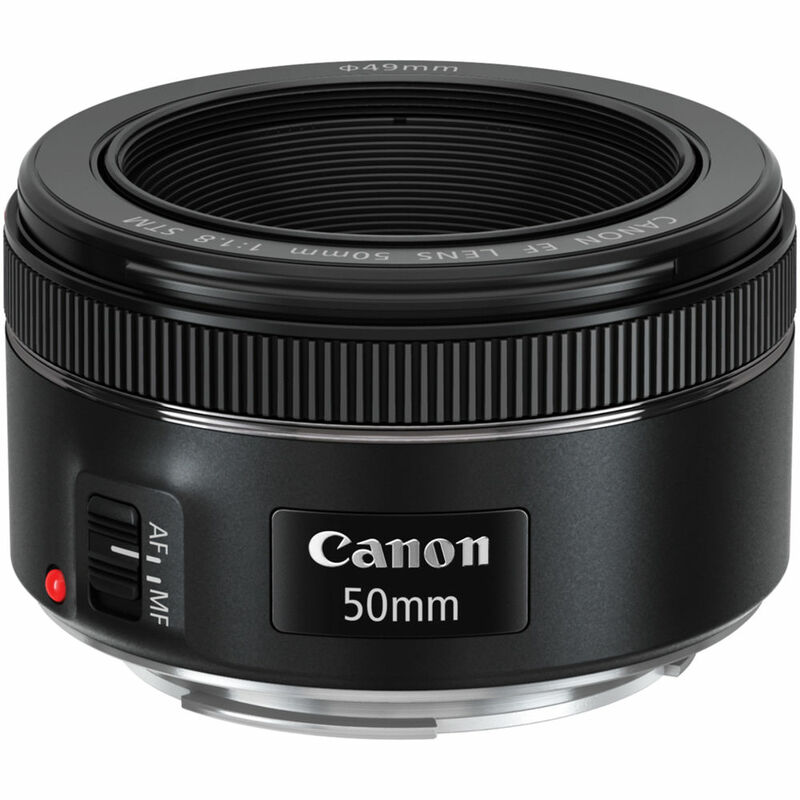 Since Canon already has a 50mm f/1.4 lens, they would not release a slightly wider aperture version at a far higher price, size and weight without offering significantly better features and image quality. Otherwise, people simply would not buy the lens. The question is – are the actual differences enough? 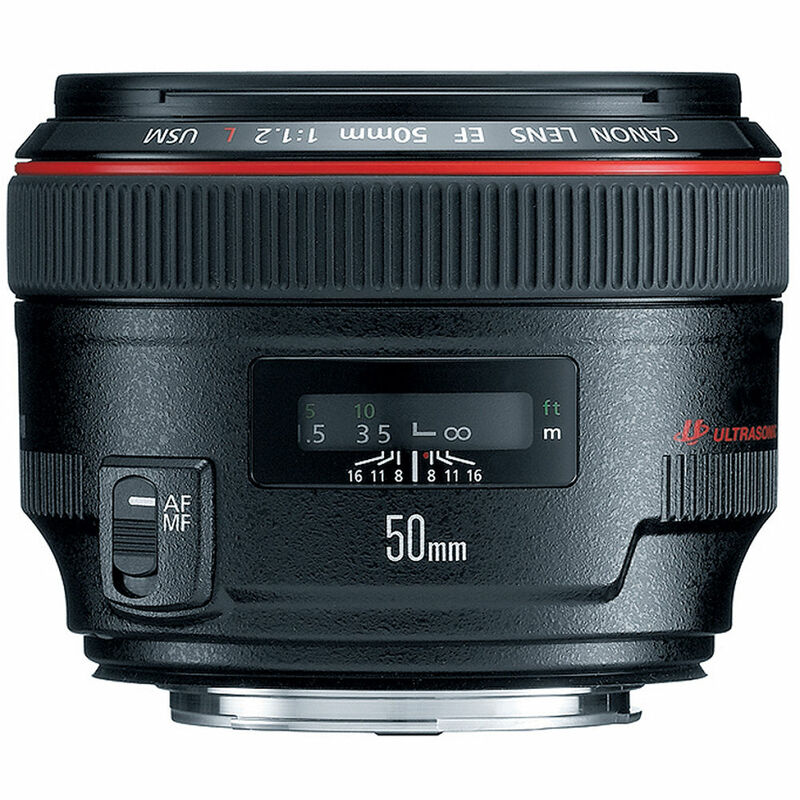 The Canon EF 50mm f/1.2L USM Lens adds a feature lacking on the 85 L II but common on Canon’s newer L series lenses – weather sealing. I should say weather-sealing-capable because a filter is required to complete the factory weather sealing. The front lens elements that extend/retract inside the lens barrel require a 72mm filter to complete their sealing. While the physical features of this lens are mostly excellent, they would not be worth much if the resulting image quality was not good. To this regard, the 50 f/1.2L turns in decent but not-as-good-as-I-expected sharpness. With a widest-currently-available f/1.2 aperture, the 50mm f/1.2 allows extremely fine control over depth of field – allowing the primary subject to pop. An 8-blade circular aperture delivers best-in-class out-of-focus blur even when stopped down. This lens allows handholding and action-stopping shutter speeds in very low light conditions. Canon 50mm 1.8 STM, this ultra-low price, combined with an extremely light weight (only Canon’s pancake lenses and the 50mm f/1.8 II are lighter), very small size (only Canon’s pancake lenses are shorter) and impressive stopped down image sharpness, immediately (and unsurprisingly) launched the Canon EF 50mm f/1.8 STM Lens to the pinnacle of Canon’s best seller list. Overall, I think the Canon EF 50mm f/1.4 USM Lens is a good lens – and a very good value. The 50 f/1.2L is going to be purchased by those who want the best image quality they can get from f/1.2 to f/2, by those needing a more-pleasing background blur quality than the other two 50s deliver, by those requiring the least amount of lens flare in their results or by those who need/want the best quality (build) lens they can get. I can’t say that the Canon EF 50mm f/1.2L USM Lens is as great of a value as the 50 f/1.4, but I do think it is worth the price to serious photographers who need what it can deliver.